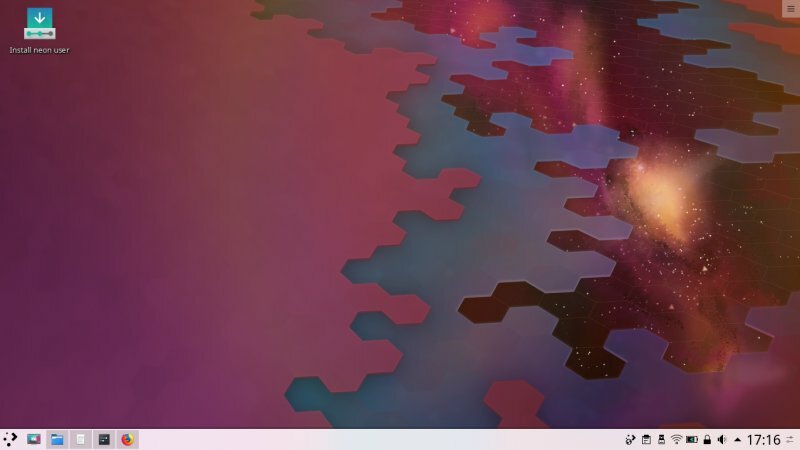 Just recently, I reviewed Plasma 5.15, and it was a good, pleasant experience. 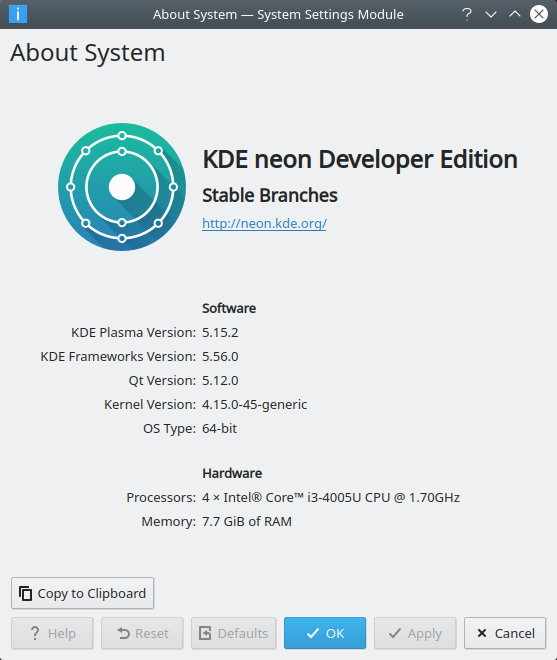 Throughout my review, I tried to avoid making explicit mentions of the underlying test framework - KDE neon - in order not to confuse the improvements in Plasma with the system itself. Now, it is time to give neon its due. 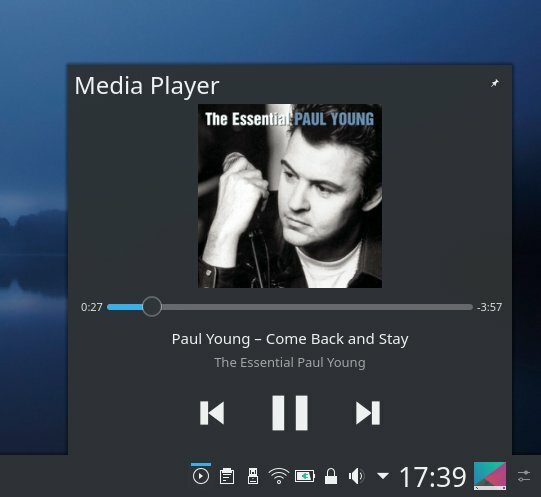 So today, we will look at KDE neon as a whole, system plus desktop. While a lot of the stuff I covered in the desktop environment test still holds, there's the facet of general usability that goes beyond specific versions of Plasma. My test box be Lenovo G50. Now, follow me. The User Edition neon (5.15.2) booted fine and without any problems, sans a single occurrence of a spurious text message telling me about some firmware code ERRATA thingie. This just feels out of place in what is otherwise a smooth, clean boot.The Plasma desktop looks the part. Recognizable, friendly theme. I had a double Wireless prompt (AGAIN), which is really annoying - you need to type your password twice before the thing will connect. Despite improvements in Dolphin, which features a much improvement network section (or however you want to call it), I was not able to connect to my Samba shares without a hack. Naughty naughty lack of progress. Then, Samba timestamps get reset at the time of copy. Bluetooth pairing didn't work for me with the Aquaris phone. Sigh. No sweat. Everything was dandy and dope. Lots of sweat. I'm not sure if the problem is in the underlying system, fresh updates in KDE or both, but I had trouble with two Android-based phones, and I'm not even talking Windows Phone or iPhone. With Moto G6, there was a distinct lack of consistency in the behavior. If you plug the phone in, allow MTP and then open Dolphin through the system area, the different folders will not be writable. 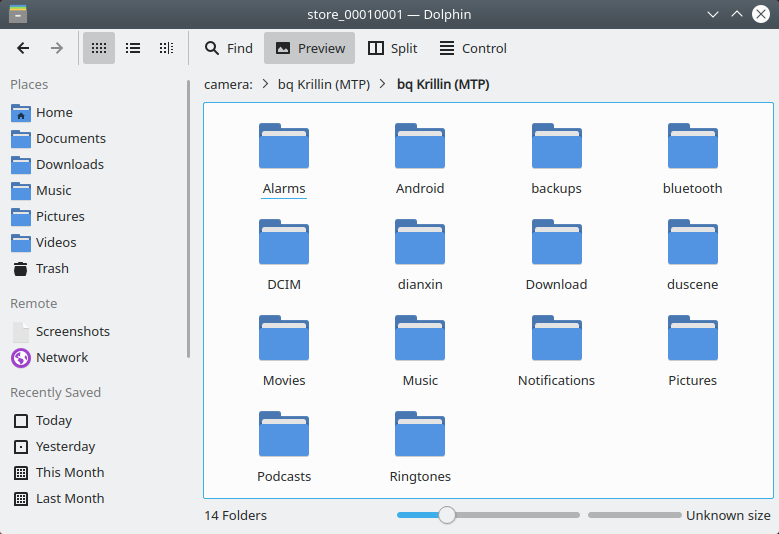 But if you open Dolphin separately and hit the device in the sidebar, then these folders will be writable. The former gives you a write-not-supported error. The only thing that I can think of is that maybe there's PTP sneaking in somewhere, but it's not explicitly defined, and there are two open-with options, so this needs to be sorted out. I also struggled with KDE Connect, which couldn't find the phone, even though the phone did see the laptop. Not sure why. Opening the phone through the sidebar - no thumbnails. Another bug, methinks. The above error is tricky for many reasons. One, if someone chooses MTP on the phone, then the connected operating system should respect this. Two, the writing to camera error is ambiguous, because it's not really a camera, not should it be identified as such, nor should this error really come up. If writing is not supported, and you can't paste (grayed out), so what is the error exactly? 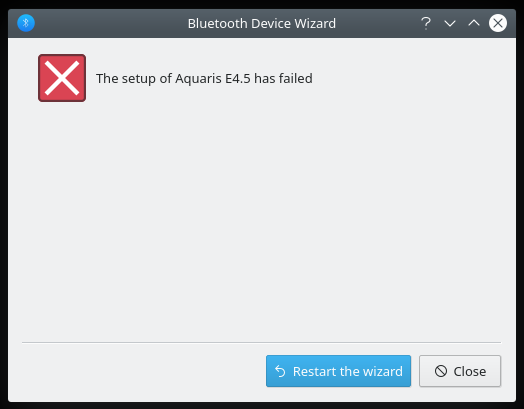 With Aquaris, it was even worse - it just couldn't display the phone contents, complaining about not being able to claim the USB device - I've never seen this error on any Linux before. I will check this in the installed instance, but this sure wasn't a promising start. All I want is to be able to plug my phones in, check the contents and maybe copy them, and never see an error. Why are spaces in the phone's string shown as the HTML %20 character? After finishing the live session, I powered the installed instance of neon and upgraded it. This took about two hours to complete, with some 900 packages needing updates. And it was a robust thingie. The screen lock broke during the update, but then there was a clear, explicit prompt explaining how to login in a virtual console and unlock the session. 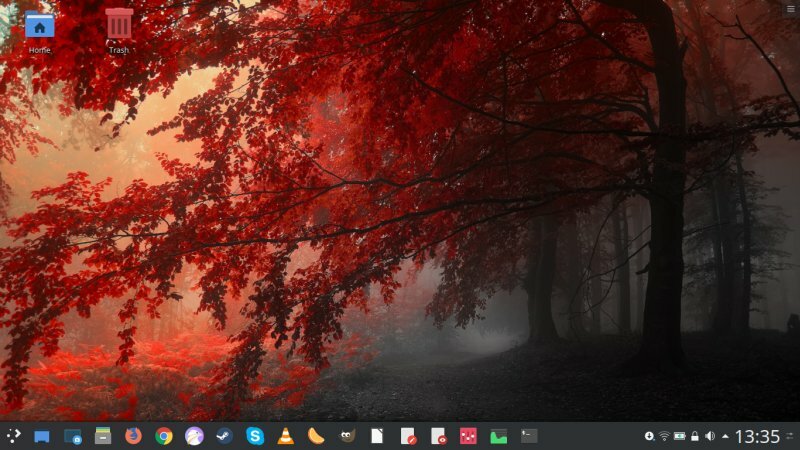 I'm very pleased with the resilience of KDE neon, and even though I've done a lot to obstruct the upgrades, they always work. The one thing that annoyed me was that GRUB2 still tries to autoguess swap using ID instead of device notation (as I've always preferred using in /etc/fstab), y'know that thing that caused slow Ubuntu boots. Well, seems like it's guessing a little better now, but this still falls into the same gap of overcomplicated software design that's plaguing the world since last Thursday. Once this was done, I rebooted, and got into my desktop. 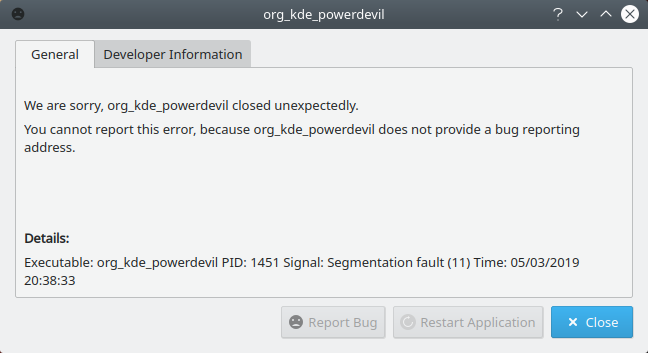 And then the power management daemon crashed, lolzie w00t w00t. Not nice. On second reboot, there were no issues, and neon remains utterly stable since. But do note this is the Developer Edition, so it's meant to be less stable than the User Edition. I decided to re-test, and this time, Aquaris behaved well. In general, my existing stuff continues to work well, but that's part of the problem - the vanilla experience versus customization, and you do sometimes lose the finer detail of what people may get if they're only starting fresh. Your system is an integral of numerous tweaks and fixes, and you won't necessarily see what a newbie only getting underway with Plasma or neon will. Remains top notch. Super fast, super light. 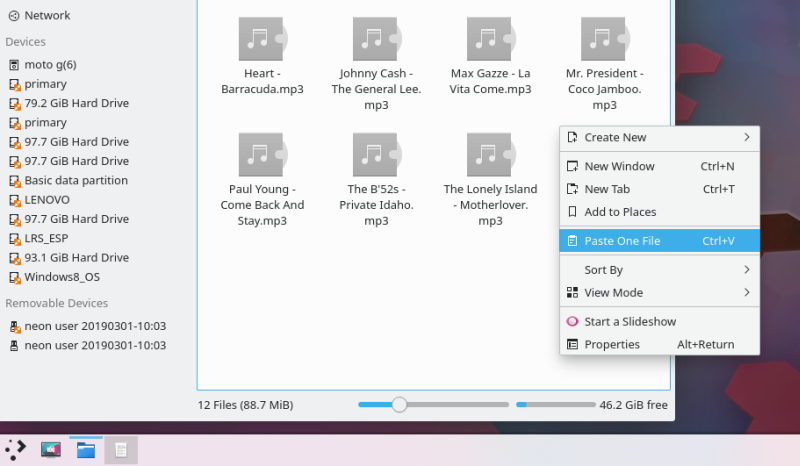 You've seen it in all my previous KDE neon reviews, and this ain't no news. I mean, this is great news. Battery wise, we're still pretty good. 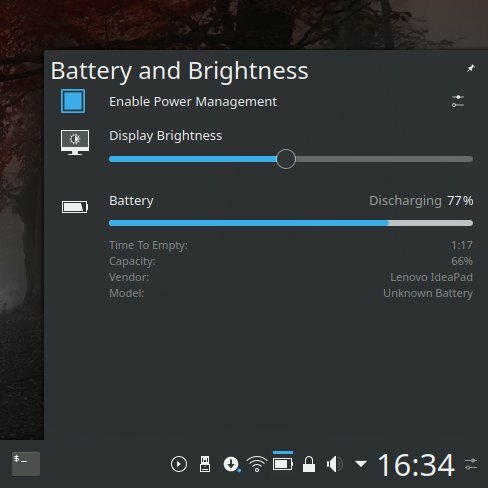 With brightness down to 50%, battery capacity at about two thirds its original charge, with super-light usage, you get 2 hours 45 minutes, and this would be 50% on a new battery cell, or about four hours and change, close to what we've always seen, very close to Windows 10 and MX Linux on this box, and among the better results around. After some usage, music and browsing and such, plus some suspend & resume, the charge stands at about 80 minutes at 77% charge of the two thirds available. This translates into 2.5 hours of moderate usage. Not bad, but can be better. Please do take into account that my battery is a bit dodgy at this point. Apart from that, it's as much as I've already written in the Plasma 5.15 review. Tons of goodies and smart features, tons of improvements. No additional crashes or bugs that I could find. The system settled after the initial bump or two. The software stack is rich and works well, the package manager works well. Some other issues - remember I mentioned the Open with (GwenView) thingie? Well, this shows in all folders, and not just in the Pictures folder. So I think this is maybe a bug of some kind, or a feature not just fully realized yet.